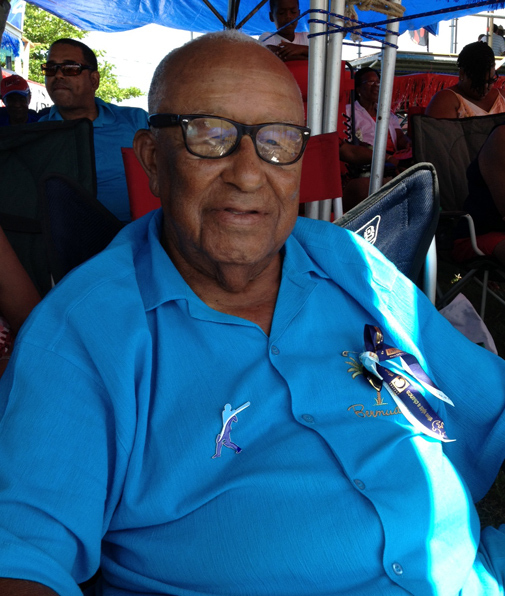 A very special spectator - at 92, Leroy 'Tubby' Richardson is reputedly the oldest surviving St George's Cup Match player. He first played the Classic in 1941. When the Bermuda Sun asked him if he was enjoying the game, he said 'of course, always!' A real gentleman. Keep up with all the action and festivities of Cup Match 2013 with bermudasun.bm, and on Twitter with @JamesBurtonSun.